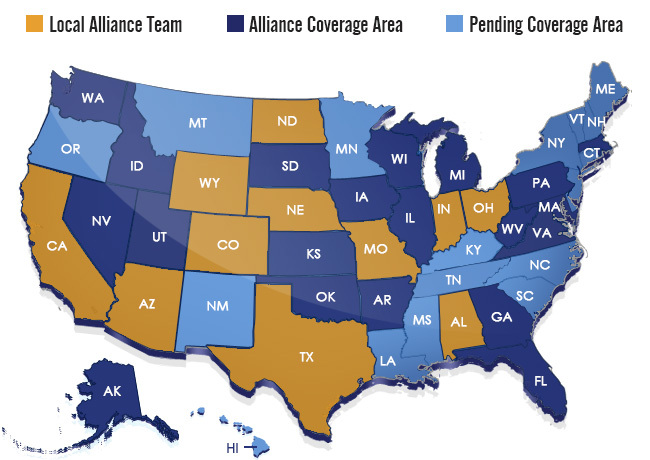 Alliance Insurance Group is a rapidly growing independent insurance agency with access to markets across the country. Our goal is to present you with a menu of insurance options that are carefully engineered to address the specific needs of your business or your personal home, life, and auto coverage. We can help you manage and plan for potential risks, as we represent over 110 of the nation’s strongest and most competitive insurance carriers. Whether you're looking for commercial general liability, auto, homeowners, group health, specialty business insurance, workers’ comp, payroll and financial services, or anything in between, we have access to the best insurance partners at the most competitive prices. Get an online quote today and discover the Alliance difference! As Risk Advisors, we do not behave like your current insurance broker. We take the time to understand your environment, your needs, and your goals. We will assist you in mitigating certain risks via a customized insurance plan and will seek out the best, specialized carriers that offer the right coverage at a fair price. At Alliance, we work hard to build a trusted relationship with our clients. We strive to make you feel comfortable and confident in our abilities by acting as your consultant. We are an organization dedicated to our customers. Exceptional service, whether it is in response to an insurance claim or a general question, is the most important value we can offer you. It matters. We get it. Give us a call on 303-279-9700 or 888-279-9701 (Mon-Thurs 8:00-5:00, Fri 8:00-4:00) to get a quote or arrange a free, no-obligation risk assessment for your business. Or visit our 24-hour interactive website at www.allinsgrp.com. At Alliance, we’ve got you covered!